Canada and World Studies consists of all the courses that place you, your country, and your community in the broader world. Where do you fit? Geography – Our geography courses deal with Canada, our relationship with the environment, and the wider world with a strong focus of global citizenship and creating a sustainable future. Significant local, national, and global issues are an important part of geographic education. Climate change, air and water pollution, urbanization, agriculture, and our growing global population are all key issues of study. We also offer a range of other courses from Travel and Tourism to Natural Disasters, as well as Environmental and Resource Management for senior level choices. Take a look at what interests you and talk to our Canadian and World Studies teachers for more information. 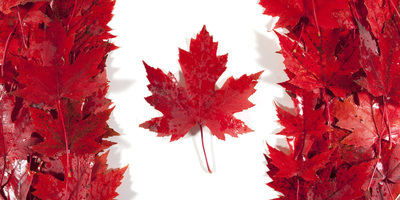 This course focuses on geographic issues that affect Canadians today. Students will draw on personal and everyday experiences as they learn about Canada’s distinct and changing character and the natural and human systems and global influences that shape the country. Students will use a variety of geotechnologies and inquiry and communication methods to examine practical questions and communicate their findings. In this course, students will explore physical processes related to the earth’s water, land, and air. They will investigate how these processes shape the planet’s natural characteristics and affect human systems, how they are involved in the creation of natural disasters, and how they influence the impacts of human disasters. Throughout the course, students will apply the concepts of geographic thinking and the geographic inquiry process and use spatial technologies to analyse these processes, make predictions related to natural disasters, and assess ways of responding to them. This course investigates interactions between natural and human systems, with a particular emphasis on the impacts of human activity on ecosystems and natural processes. Students will use the geographic inquiry process, apply the concepts of geographic thinking, and employ a variety of spatial skills and technologies to analyse these impacts and propose ways of reducing them. In the course of their investigations, they will assess resource management and sustainability practices, as well as related government policies and international accords. They will also consider questions of individual responsibility and environmental stewardship as they explore ways of developing a more sustainable relationship with the environment. Civics - Our Civics courses are focused on community integration. With projects and assignments that allow students to look at Acton and Halton Region and the ways to improve the places we live. Let's engage together! History - Our history courses cover a wide range of historical topics from the earliest human periods, such as the Stone Age, through the ancient and medieval worlds, to the modern history of both Canada and the World. Take a look at what interests you and talk to our Canadian and World Studies teachers for more information. This course examines significant developments and events in world history from earliest times to the present. Students will explore a variety of social, cultural, economic, and political developments in different regions of the world and during different periods. In addition to investigating how conflict, religion, work, and technology have helped shape people’s lives, students will examine the contributions of some significant individuals to our global heritage. Students will apply the concepts of historical thinking and the historical inquiry process, including the interpretation and analysis of evidence, when investigating a variety of human experiences in world history.